For Chilli lovers that like it tasty and seriously hot! Ready to serve with any food this sauce will add heat to whatever you eat! This product is suitable for Vegetarians, Vegans and Gluten Free. 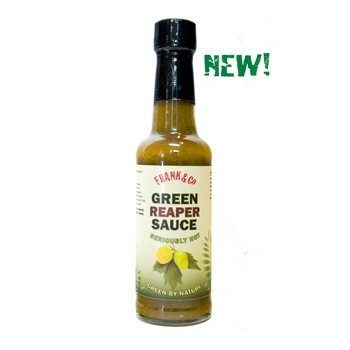 Be the first to review “Green Reaper Sauce” Click here to cancel reply.